The last thing anyone wants is to discover is a major plumbing disaster in their home, which usually has the knack of occurring at the worst possible time. Exciting possibilities include a foot of raw sewage pooling in your basement a day before you leave on vacation, toilets that stop working while your family is staying with you during the holidays, or a backyard which has suddenly flooded. While these problems can be distressing (to say the least), don’t panic! Roto-Rooter is available in Ventura and in ten additional locations across California to meet your needs and rescue your home from a plumbing catastrophe. During a crisis, you may be tempted to try to solve the problem yourself. If a massive clog is blocking your shower, for instance, you might attempt to use commercial drain cleaners or to “snake” the drain on your own. This is not recommended for several reasons. Commercial drain cleaners are meant to work by dissolving biological material enough that the rest of the clog can be flushed away. This is highly ineffective, as multiple bottles are needed to dislodge even small clogs, and if they are shifted at all, it is usually only to move them further into your pipe. Keep in mind that clogs are regularly found to be three or four feet long, meaning that a bottle of drain cleaner is only a waste of money. Additionally, even if labeled as “drain-safe,” commercial cleaners erode the material of your pipes to a greater or lesser degree, hastening the end of their natural lifespan and leading to a costly replacement job. Finally, drain cleaners are a strong, caustic chemical that can easily leak into groundwater, poisoning local waterways as well as your family’s drinking water. More immediately, keeping it in the home is especially dangerous if you have pets or small children. For lasting repair that is also safe for your family, contact a professional. 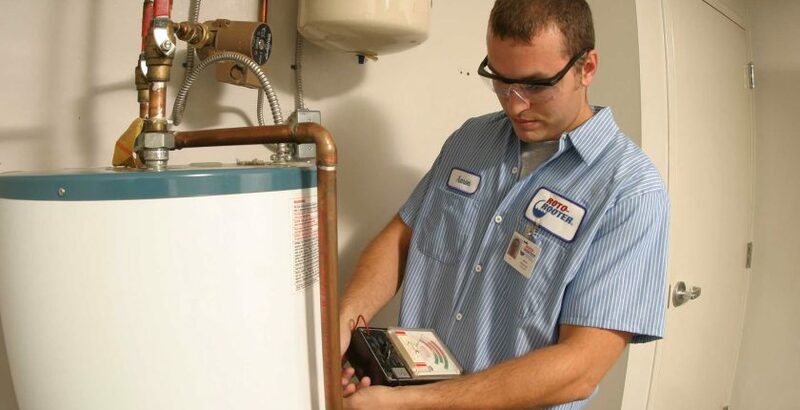 Our plumbing system engineers and technicians are available twenty-four hours a day, seven days a week. We handle faucet, toilet, sewer, septic, and water heater repairs, detect leaks, and stop crises and repair damage in a fast, efficient manner that will have your home back to normal in no time! Nobody wants a plumbing or heating disaster, but Roto-Rooter is here to help. Call us for your next emergency, and you’ll be in good hands! How does regular maintenance help me save money?